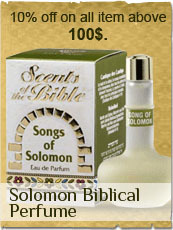 biblelandshop.net ("Site" or "we", "us", "our"), provides public access to the our website, located online (the "Site"). The use of the our site is subject to your acceptance of this Website User Agreement ("Agreement"). 3) The product must be the same year. We do not price match on closeouts from previous years, scratch and dent items, blems, etc. 4 Coupons and promotional codes may not be used with price matches, either from our site or from a competitors coupon. 6) The Product must be orderable online. Online advertisements are not honored unless the product can be ordered online through a secure server with a functioning shopping cart. If your credit card is declined or you do not provide a correct billing address, the products that you ordered will no longer be held for you, so it is important that you respond as quickly as possible so that we do not sell out of the item you have ordered. In the event that we do sell out, your order will be put on the backorder list and we will ship it as soon as another shipment arrives. 9. When will I receive my Order? Priority Mail- We only ship USPS priority mail, which, on average, takes three shipping days. USPS orders are usually shipped the following shipping day, (M-F), after the order is placed. Priority Mail is not guaranteed by Us or the Postal Service. There is no way to track or file claims for orders shipped with the U.S. Postal Service. United States, Canada, Australia, China, France, Italy, Japan, Germany, New Zealand, Spain, United Kingdom, Norway, Sweden, Switzerland, Denmark, Netherlands, Finland, Puerto Rico, U.S. Virgin Islands and the British Virgin Islands. You understand that this site cannot and does not guarantee that the Sites will be free of infection from viruses or other computer infections that are intended to damage, detrimentally interfere with, surreptitiously intercept or expropriate any system, data or personal information. You are responsible for implementing sufficient procedures (anti-virus software, etc.) and checkpoints to satisfy your particular requirements for accuracy of data input and output, and for maintaining a means external to the Site for the reconstruction of any lost data. You agree to indemnify, defend and hold our company and its affiliates, officers, directors, employees, attorneys, and agents harmless from and against any and all claims, demands, actions, costs, liabilities, losses and damages of any kind (including actual attorneys' fees) resulting from (i) your use, misuse or abuse of the Site, (ii) your use of products or services provided through the Site, or (iii) your breach of any provision of this Agreement. You will cooperate as fully as reasonably required in Site's defense of any claim. Company reserves the right, at its own expense, to assume the exclusive defense and control of any matter otherwise subject to indemnification by you and you shall not in any event settle any matter without the written consent of us. Nothing contained herein shall be construed as conferring by implication, estoppel or otherwise any license or right under any patent or trademark of our company or any third party. Except as expressly provided above, nothing contained herein shall be construed as conferring any license or rights under any Company copyright. Company respects the intellectual property rights of others and requires those that visit our web site to do the same. We may, in appropriate circumstances and at its discretion, remove or disable access to material on its web site or its network that infringes upon the copyright rights of others. We also may, at our discretion, remove or disable links or references to an online location that contains infringing material or infringing activity. In the event that any visitors to our website or users of our network repeatedly infringe on others copyrights, we may in our sole discretion terminate those individuals' rights to use our website and/or network. UNDER NO CIRCUMSTANCES SHALL WE OR ANY OTHER PARTY INVOLVED IN CREATING, PRODUCING, OR DISTRIBUTING THE SITE OR PROVIDING PRODUCTS OR SERVICES THROUGH THE SITE BE LIABLE FOR ANY DIRECT, INDIRECT, INCIDENTAL, SPECIAL, OR CONSEQUENTIAL DAMAGES FOR LOSS OF PROFITS, GOODWILL, USE, DATA OR OTHER INTANGIBLE LOSSES (EVEN IF WE HAVE BEEN ADVISED OF THE POSSIBLITY OF SUCH DAMAGES) THAT RESULT FROM (I) THE USE OF OR INABILITY TO USE THE SITE (II) THE COST OF PROCUREMENT OF SUBSTITUTE MERCHANDISE AND SERVICES RESULTING FROM ANY MERCHANDISE, DATA, CONTENT OR SERVICES PURCHASED OR OBTAINED OR TRANSACTIONS ENTERED INTO THROUGH OR FROM THE SITE; (III) UNAUTHORIZED ACCESS TO OR ALTERATION OF YOUR TRANSMISSIONS OR DATA; (IV) STATEMENTS, WARRANTIES, GUARANTEES OR CONDUCT OF COMPANY OR ANY THIRD PARTY ON THE SITE, INCLUDING BUT NOT LIMITED TO STATEMENTS ABOUT THE USE OR FUNCTIONALITY OF ANY MERCHANDISE PURCHASED THROUGH THE SITE; OR (V) ANY OTHER MATTER RELATING TO THE SITE. Links, if any, to other sites are provided as merely a convenience to the Users of this Site. Company has not reviewed all of these other sites, has no responsibility for the content of such other sites and shall not be liable for any damages or injury arising from any such content. Company does not endorse or make any representations about these sites, or any information or other products or materials found there, or any results that may be obtained from using them. If you decide to access any of these other sites linked to this Site, you do so entirely at your own risk. Any information provided to biblelandshop.net in connection with use of the Site: (a) shall not be false, inaccurate or misleading; (b) shall not be obscene or indecent; (c) shall not contain any viruses, Trojan horses, worms, time bombs, or other mean computer programming routines that are intended to damage, detrimentally interfere with, surreptitiously intercept or expropriate any system, data or personal information; (d) shall not infringe on any third party's copyright, patent, trademark, trade secret or other proprietary rights or rights of publicity or privacy; (e) shall not be defamatory, libelous, unlawfully threatening or harassing; and (f) shall not create liability for biblelandshop.net or cause us to lose the services of our Internet service providers or other suppliers. You may not take any action that imposes an unreasonable burden upon the infrastructure used to support the efficient operation of the Site, including but not limited to unsolicited e-mail (i.e. "Spam"). In the event that one or more portions of this Agreement shall, for any reason, be held to be invalid, illegal or unenforceable in any respect, such validity, illegality or unenforcability shall not affect any other provision contained in this Agreement. Any delay or failure by biblelandshop.net, at any time or times, to require performance of any provision hereof shall in no manner affect biblelandshop.net'S right at a later time to enforce such provision. No delay or failure by biblelandshop.net in exercising any right hereunder shall constitute a waiver of such right or any other rights hereunder. You may not assign your rights or delegate your responsibilities hereunder without the express written permission of biblelandshop.net. biblelandshop.net may, at any time, assign its rights or delegate its obligations hereunder without notice to you. No person not a party to this Agreement is intended to be a beneficiary of this Agreement, and no person not a party to this Agreement shall have any right to enforce any term of this Agreement. This Agreement and any documents expressly incorporated by reference constitute the entire agreement between biblelandshop.net and you pertaining to the subject matter hereof. In order to protect our customers biblelandshop.net reserves the right to ship packages signature required. In its sole discretion, biblelandshop.net may unilaterally amend or modify this Agreement or any other documents referenced herein at any time by posting the amended Agreement on the Site. Any amended or modified terms will be effective upon posting. Continued use of the Site constitutes acceptance of any modified terms and conditions. biblelandshop.net reserves the right to delete, modify or supplement the Content of this Site at any time for any reason without notification to anyone. biblelandshop.net may immediately issue a warning, suspend or terminate your access to the Site or for breach of this Agreement (or any other agreement or policy incorporated by reference herein), or if we are unable to verify or authenticate any information you provide to us, or for any other reason in our discretion. You may terminate your account by contacting us.